For the artists, by the artists. Vast Arts has a mission to make the arts more visible and viable in our western Queensland communities. Promote your Arts Activity with Vast Arts. Vast Arts is pleased to announce that we were successful in gaining funding from the recent round of the Regional Arts Fund. Vast Arts Inc intends to produce a program of curatorial and gallery management workshops to be delivered in strategic venues throughout western Queensland. The aim of the program is to cultivate regional artists and also gallery management committees and volunteers; to develop professional knowledge and skills to enable regional artists to understand the curatorial process and therefore develop cohesive, well-developed exhibitions; and to ensure that artists and art workers will develop the skills to run a gallery and hang and present an exhibition to a high standard. This program is expected to commence in February 2019. 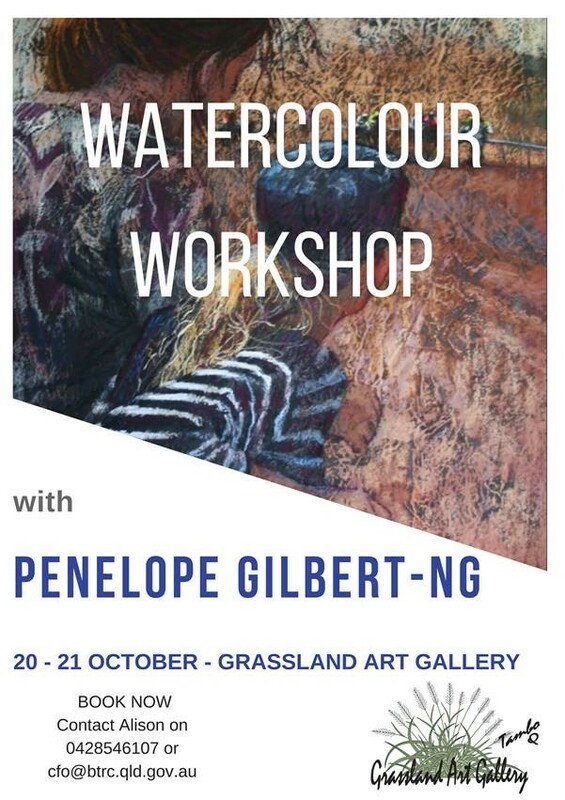 This project is made possible by the Australian Government's Regional Arts Fund, which supports the arts in regional and remote Australia. Longreach Regional Council is preparing to unveil a street art competition with the aim of introducing new public art to the region’s communities. An upcoming Beginners Wire Sculpture Workshop will serve as the catalyst for the Street Art Competition in which the three major cash winning entries will be gifted to Council in return for the prize monies offered. The retained entries will then be used to add to the streetscape and beautify townships in the region. Other sculptures in the competition can be gifted to Council for community display or sold publicaly on the day of judging. Mayor Ed Warren said with the gifting of the ‘Around the Campfire’ series from the Queensland Government, the time is right for communities in the region to benefit from additional art installations. “The state has gifted us the ‘Around the Campfire’ sculptures which were created for Expo ’88. They’re being installed on Eagle Street this month and they’ll make a big difference once they’re there. The competition will run for three months to allow artists to develop and create their artwork for submission. Three cash prizes are on offer - $5,000 for first place, $3,000 for second place, and $2,000 for a Peoples Choice section with votes cast by the community to determine a winner on judging day, Saturday 10 November. The Visitor Information Centre, Museum and Gallery hosts a different exhibition every 6 weeks including travelling displays and works accomplished by gifted local artists. Contact tourism@quilpie.qld.gov.au for more information. Unseen, by Donna Davis. 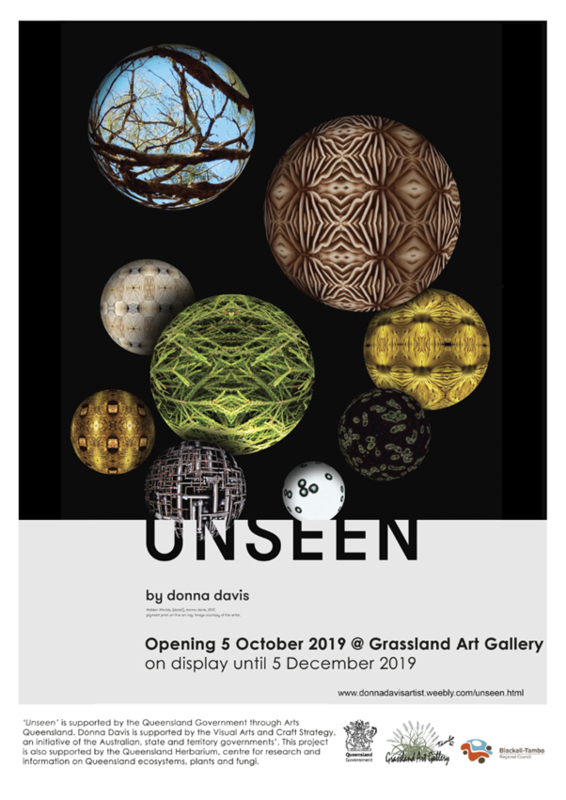 On display until 5 December 2018. 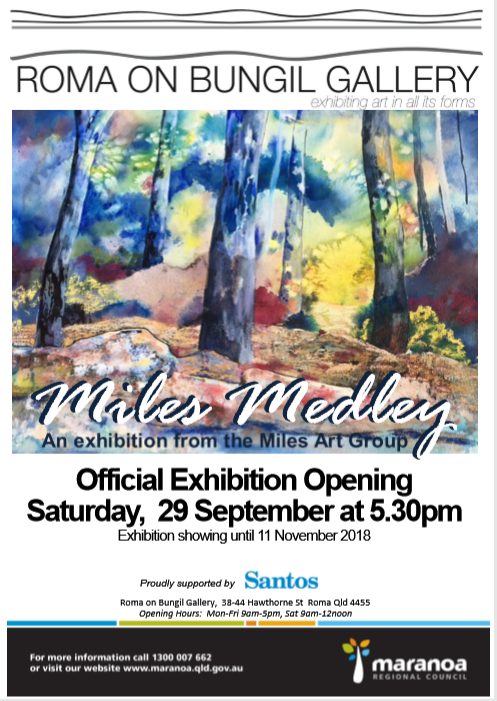 Miles Medley, an exhibition from the Miles Art Group, will be on show until 11 November 2018. This exhibition brings together 27 artists selected from entries from across the Western Downs region to explore the value of light and shade with no limits. This annual exhibition continues to highlight the amazing creativity and talent that exits in our communities. An exhibition inspired by the artist’s Creative Fellowship at the State Library of Victoria. Johnson’s research, which drew on the library’s collection of rare books of botanical illustration, took her back to the pioneering work of early botanical artists including Sydney Parkinson, Pierre-Joseph Redouté and Ferdinand Bauer and was the beginning of her own creative journey. She tells the story of these early years of the exploration of Australia - embellishing it by blending art with science, cartography and facsimiles of writings from the explorers’ journals. Johnson creates delicate and beautifully-realised solar plate engravings of wildflowers - powerful symbols of the vulnerability and fragility of Australia’s natural environment and heritage. Put this date in your diary! If you are looking for funding to attend this conference check out the 2018 Grants & Philanthropic Funding handout on the M&G QLD website or talk with your local council and see if they have any grants available (particularly to your Regional Arts Development Fund (RADF) Liaison Officer). -Exhibitions: examples include successes in telling stories and case studies (what went right and wrong). -Collections: examples include digitization, significance, cataloguing, display techniques, preservation, de-accessioning and storage. Do you know of an event coming up in your region? Please let us know! Supporting vibrant and accessible arts and cultural experiences for Queensland by individuals, organisations or collectives. QASP replaced the Projects and Programs (PAP) fund in September 2015. Applications accepted any time. More information available here. Vast Arts is a member based organisation and your membership enables us to continue working towards our goals. You can join us from as little as $32.50 per year and receive member benefits. Become part of a vibrant cultural community, and be supported no matter what your involvement in the arts in western Queensland. You're an artist for yourself, not by yourself. Networking with others dramatically increases your enjoyment of the arts and your odds of success. Put simply, when you surround yourself with supportive contacts from diverse backgrounds and interests and start actively networking and promoting your arts practice - you'll just do better. Go to the Vast Arts website for more information about the benefits of being a member, or contact admin@vastarts.net and we will be happy to assist. Copyright © *2016* Vast Arts Inc, All rights reserved.